People with a high net-worth need to look at competitive personal insurance in a different way than others do. No longer are they trying just to insure a home or car, but instead they should be protecting their many assets through insurance. High net-worth individuals also have a different lifestyle that creates new risks that should be managed. Affluent individuals in San Diego have unique property and casualty insurance needs due to their exposure to risk and to the types of assets they own. Individuals with money become targets when anything goes wrong. It is important not only to insure your property and other tangible assets but also to protect your financial wealth. Here are some of the products and solutions that may help high net-worth individuals protect themselves and their assets. High net-worth individuals need a competitive personal umbrella insurance policy with a limit of at least one million dollars. In some cases, depending on your wealth, you may need liability limits of up to five million dollars. A personal umbrella is able to go over many different insurance policies, and help protect assets with defense coverage as well. Individuals who employ cooks, housekeepers, nannies or others to work in their homes need to have insurance coverage for their employees. Having this kind of insurance helps protect you if your employee sues you for damages. It is also important to carry workers’ compensation insurance on your staff. This policy may also cover certain medical expenses that may be paid to the employee, and can help to replace any wages lost. Many high net-worth people have wine collections. A standard homeowner’s policy may not be adequate to respond to a loss. Wine insurance can cover the entire dollar amount of the wine with a limit for each bottle. Fine art insurance can cover the full market value, or appraised value, on any art you own. Most standard homeowner’s insurance policies have limitations on the amount of coverage offered. Fine art insurance also covers the art when it is purchased; even it is away from your home. High-end homes often have unique construction that requires special property insurance coverage. Custom construction drives the replacement cost higher. It is very important to have full replacement coverage that addresses all the custom and unique types of property in the home. High net-worth individuals may have special auto insurance needs. There are auto policies that can address these needs. These features may not be available through standard auto insurance policies. It is not pleasant to talk about this, but it is necessary if you are a high net-worth individual. Many of these policies also come with a crisis management team of professionals who have experience in this field. Like other products for high net-worth individuals, yacht insurance can cover the risk associated with owning a large yacht. 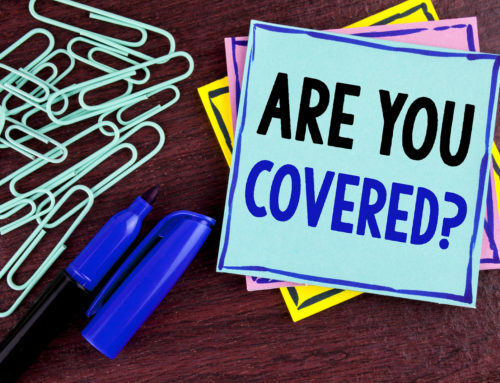 Coverage can include insurance for a crew, full replacement cost of the yacht, high-end construction, and personal property. Coverage can be added if the owner leases the yacht to others. Some yacht policies have limitations for unsafe waters. For example, if there are waters plagued with pirates, the insurer may void coverage. Many high net-worth individuals operate home-based businesses. A standard homeowner’s insurance policy will not cover this risk. A commercial insurance policy is needed to protect the risks of operating a home-based business adequately. Many high net-worth individuals serve on for-profit and non-profit boards. Some of these positions have indemnification and insurance included with serving on the board. However, some do not adequately protect the individual, and a separate policy is needed. It is important that your insurance policies reflect your ability to respond financially to a claim. The affluent individual may be willing to pay a higher deductible, while seeking a higher coverage amount to protect their assets. Earthquake insurance should be part of your insurance portfolio. Your home and other property should be insured to full replacement for earthquake risks.